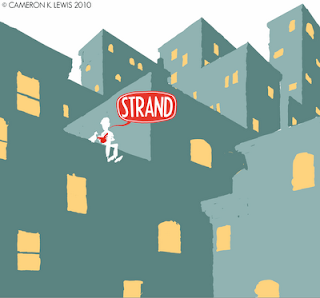 I had heard about the Strand Tote Bag contest, but didn't really consider entering. 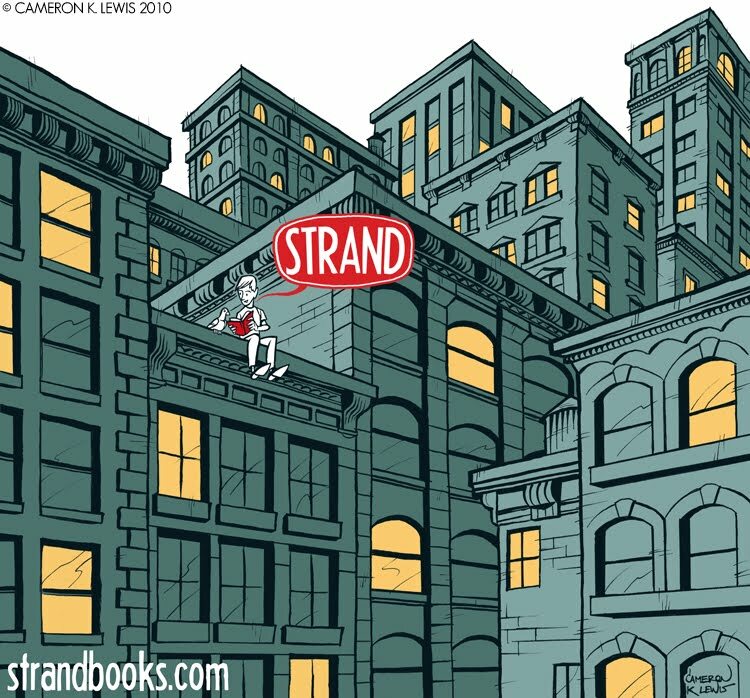 The next time I was in the city, I kept seeing people carrying Strand bags and realized what a great opportunity it potentially was. However, the deadline was a mere 3 days away. 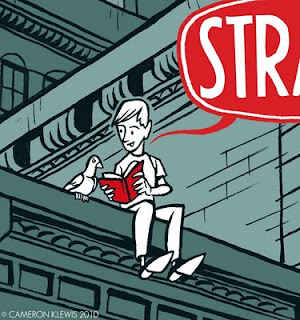 Luckily, an idea popped up almost instantly: a young man reading alone on a rooftop amidst a sea of buildings. 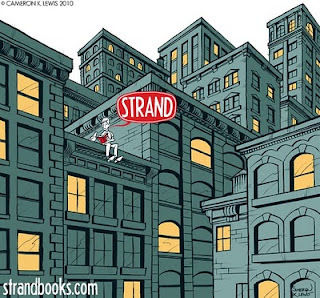 A big red thought bubble would create the STRAND logo above his head. After roughly sorting it out for myself, I realized the main character was too lonely and needed a companion to share his book with. Naturally, I chose a pigeon. 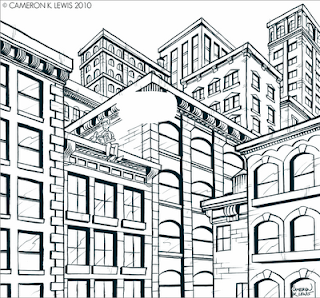 I then launched into a whirlwind couple of hours of perspective drawing until about 3 or 4 am. 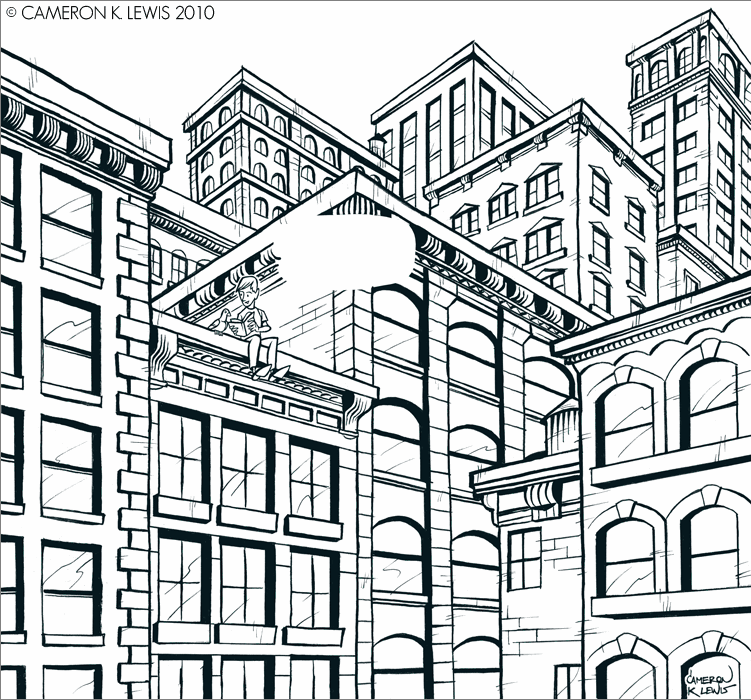 Luckily, the digital color the next day was quick and easy. 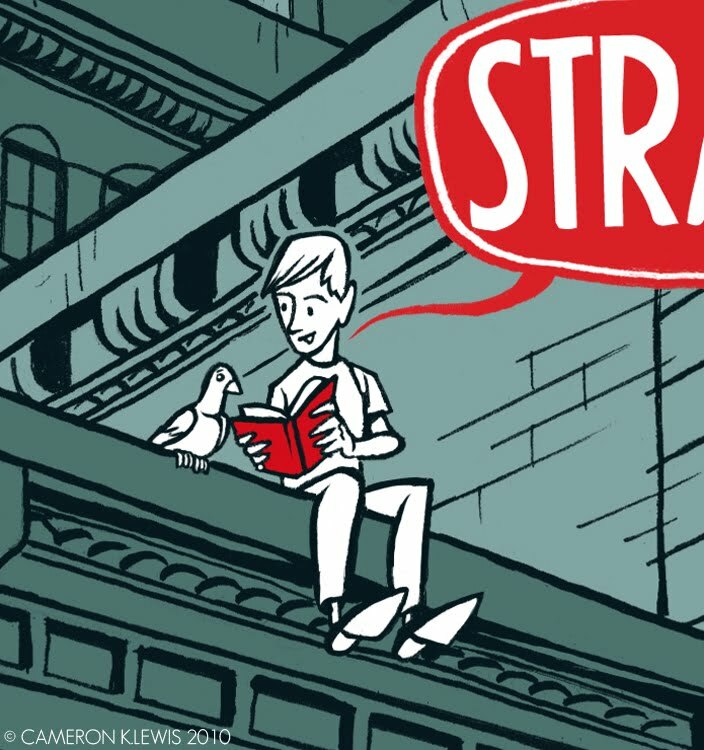 I was extremely pleased with how the piece turned out and summed up the intimate bond one can form when they find the right book.I was informed the other day that I was a finalist in the contest. All of the finalists' images will be exhibited in the School of Visual Arts West Side Building Lobby (133 West 21st Street) from June 22 to July 5. In other news, The Continuing Adventures of Jim Cookie: Space Explorer is flying along and will be ready in about 2 or so weeks. I'm very excited for people to see this animation and my progress since Success.